Near the beginning of each long session, the Ways and Means Co-Chairs release their preliminary budget. This is their initial framework for what the Ways and Means Subcommittees will use to start their budgets for individual programs. For Education, the Ways and Means Education Subcommittee will be working with the Joint Committee on Student Success to determine which programs to prioritize in the Education budget. Th e Ways and Means Subcommittee on Human Services is tasked with prioritizing funding for Healthcare and DD Services. Fully funds Oregon Health Plan without changes to eligibility or benefits with the passage of HB 2010 Provider tax that will add $379 million and $141 million general fund offset from Oregon Health and Sciences University through an Intergovernmental transfer agreement. Reserves 2% rather than the typical 1% for an ending balance reserve. Holds state school fund (K-12) budget to current service levels, but includes a small increase from marijuana taxes. Cuts other areas of the budget by between 4-5% from current service levels and relies on the Ways and Means Subcommittees to determine specific program area budgets and priorities. The answer to these problems is new revenue. There are proposals underway for an increase in the tobacco tax and other revenue packages. As those proposals solidify, we will be bringing you more information. The bottom line is that the Ways and Means Human Services Subcommittee members need to hear from you about why DD Services, Direct Support Professional wages, Case Management funding, Family Networks and the Fairview Trust matter to you. 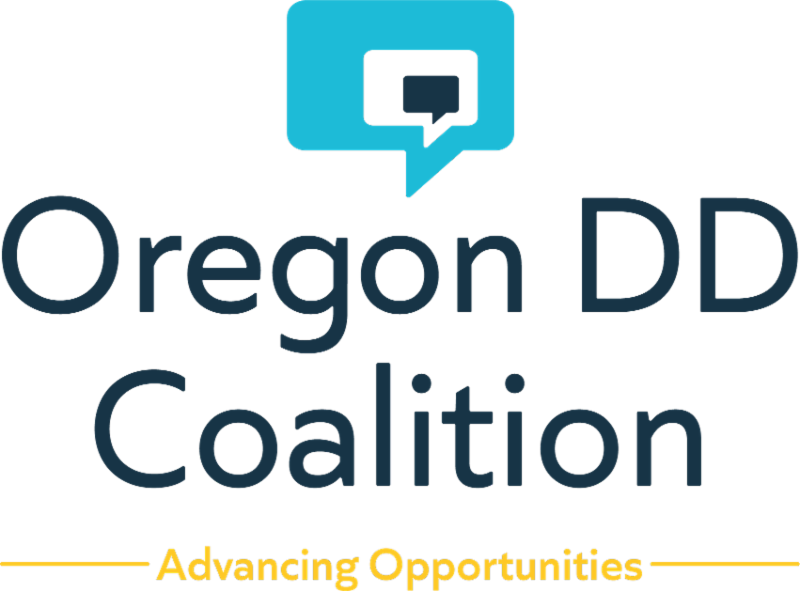 Unless legislators hear about the importance of these programs, vital supports that Oregonians experiencing I/DD depend on each day may be in jeopardy. It’s Time to Stabilize Oregon’s Developmental Disabilities Services System! Protect the Fairview Trust - Safeguard the $6 million in the Fairview Housing Trust. Support moving the trust to Oregon Community Foundation where the trust advisory committee can oversee its use. Develop Statewide Data Systems - Establish an integrated information technology system that will support case management and provide statewide data to inform policy-making and report quality of life outcomes for Oregonians with I/DD. Pendleton: FRI 03/15 5:30-7:30PM at Blue Mountain Community College, Pioneer Hall, Bob Clapp Theatre, 2411 NW Carden Ave.
Portland: THU 3/21 5:30-7:30PM at Portland Community College Cascade Campus, MAHB 104 Auditorium, 5514 N. Albina Ave.
To support your participation in these statewide budget town halls, we are identifying “hosts” in each region who will be on site at the events to provide you with fact sheets, advocacy stickers and more. What to expect if you go? Be prepared for large crowds so plan to arrive at least one hour early, especially if you want to sign up to give testimony. The sign-up sheet for testimony fills up quickly. The committee will not have enough time to hear from everyone but please come prepared with one to two minutes of remarks about the importance of DD Services funding. Even if you don’t plan to give testimony, your presence at these events, wearing and/or waving something yellow in support of the DD Community, will send the message to legislators that the DD Community is unified in its support of DD programs and services. First, contact the State Representative and State Senator that represents the district you reside in. To learn who your two state legislators are, visit the Oregon legislative website and enter your home address. Let both of these legislators know that you are their constituent and that DD Services funding is important to you and why. Then, contact members of the Ways and Means Subcommittee on Human Services and ask for their continued support of Oregonians who experience I/DD and their families by fully funding DD Services! Tell them why this is important to you! More than 80 advocates participated in the March 5th Advocacy Day at the Capitol who were there to support DD Services funding as well as Early Intervention and Early Childhood Special Education Services in partnership with the Oregon Alliance for Early Intervention. We encourage advocates to continue to message members of the Joint Ways and Means Subcommittee on Education to ask that they fully fund EI/ECSE Services because every child deserves a bright future! Our next Advocacy Day will be April 30th at the State of Oregon Public Library across the street from the Capitol. The Oregon Developmental Disability Coalition’s GO! Project Advocacy Team will be available from 10 AM to 2 PM to provide information and support. Join us for free legislative advocacy training from 11 AM to Noon. HB 2211 Directs Department of Human Services to study issues and identify barriers relating to employment of persons with disabilities. 8:30 am/HR C: Senate Committee on Judiciary will be holding public hearing on SB 378 , a bill that requires that court-ordered fitness to proceed examination and filing of examination report to occur within 14 days of examination order if defendant is in custody. 8:30 am / H-170: Joint Committee on Ways and Means, Subcommittee on Education will continue to hear invited testimony on HB 5015 (Grant in Aid) and HB 5016 (State School Fund), the budget bills for the Department of Education. 1:00 pm / HR 50: House Committee on Human Services and Housing will be holding a work session on HB 2601 , a bill that limits a guardian's authority to limit a protected person's preferred associations with third parties. Note: HB 2601 is being scheduled for a work session solely for the purpose of moving it to the House Committee on Judiciary. HB 2441 Public hearing: Requires school districts to provide coordinated comprehensive school counseling program. HB 2026 Work session: Extends sunset on pilot program to decrease rates of school absenteeism by using trauma-informed approaches to education, health services and intervention strategies. HB 2023 Public hearing: Directs State Board of Education to ensure that academic content standards for certain subjects include sufficient instruction on histories, contributions and perspectives of certain classifications of individuals. HB 2964 Work session: Directs Department of Education to conduct study to determine adequacy of public education in state. HB 2224 Public hearing: Directs Department of Education to distribute grants for improving student outcomes by supporting social, emotional, mental and physical health needs of students. HB 2940 Public hearing: Establishes pilot program for purpose of increasing number of public school students who are served by school social workers. 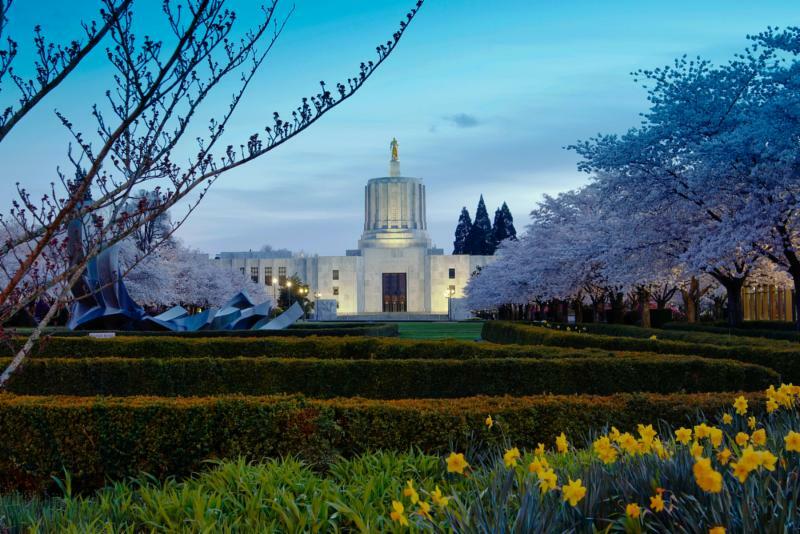 HB 3000 Public hearing: Directs Department of Human Services to deduct expenses for medically necessary guardianship services from recipient's income when calculating eligibility for assistance provided by Oregon Supplemental Income Program. HB 2908 Public hearing: Requires division of Department of Human Services that administers Oregon Project Independence, in collaboration with area agencies, to study statewide expansion of Oregon Project Independence and resource needs of division if Oregon Project Independence is expanded statewide. HB 2302 Possible work session: Appropriates moneys from General Fund to Department of Human Services to administer general assistance project. 8:00 am / HR-D: Senate Committee on Workforce will hold a public hearing and possible work session on SB 494 , a bill that relates to sub-minimum wage and employment of individuals with disabilities. SB 918 Work Session: Directs local mental health authority to notify local systems having contact with deceased individual 24 years of age or younger of suspected suicide if local mental health authority received notice of death from third party. HB 2215 Work Session: Adds to rights of persons with mental illness committed to Oregon Health Authority, right to reasonable privacy and security in resting, sleeping, dressing, bathing, personal hygiene and toileting. SB 491 Work Session: Transfers from the department of Human Services to the Oregon Community Foundation responsibility for administering the Fairview Housing Trust. SB 475 Public Hearing: Directs Department of Human Services to conduct monthly, in-person visits with child or ward in substitute care that include updates on academic status and progress. Directs department to conduct exit interview with child or ward no later than 30 days after department removes child or ward from substitute care placement. SB 745 Public Hearing: Directs Department of Human Services to conduct annual in-person case planning with ward 14 years of age or older during which department informs ward that ward is eligible for transition services and provides ward with assistance in applying for transition services, if applicable. HB 2563 Public Hearing: Directs the Oregon Health Authority to adopt rules requiring infants to be screened to detect certain diseases. HB 3063 Work Session: Removes ability of parent to decline required immunizations on behalf of child for reason other than child's indicated medical diagnosis.